Hours: Subject to Change given Weather Conditions. See Facebook (feed below) for announcements or call us. We Put The MAGIC In Miniature Golf! The Magic Putting Place, located in Manassas, Virginia right on Mathis Avenue, has 36 holes of miniature golf spread out over two separate 18 hole golf courses. The Magic Castle course contains a magic castle and a saw mill with fountain ponds. The Windmill Course contains a windmill and shade trees. Both courses are landscaped with beautiful flowers and shrubs. Our courses also have a sound system that plays family friendly music. When you are out after dark there is plenty of colorful course lighting for nighttime play and when you are ready for a snack, we have the 19th Hole Snack Bar where you can get drinks, chips, and other snacks. Want more fun after playing the first course? Just pay an additional $2 per player and move on to the next course! Whether you just want to have fun with family and friends or you want to practice your putting skills, our courses will provide you with the enjoyment and challenges you are seeking. Be sure to ask about group outing specials. We are happy to host your next birthday party or corporate fun event. School and day care outings are also a blast! Call or EMAIL our party organizer today for more details and to make reservations for any group event. Come visit us! We are in a great location near Old Town Manassas and next to Nathan's Dairy Bar with easy access from local areas like Chantilly, Centreville, Bristow, Gainesville, Haymarket, Dumfries, Independent Hill and Nokesville. 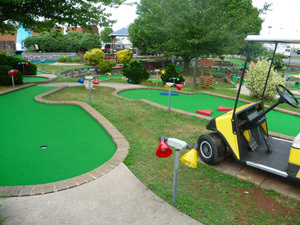 "Cute little gem of a miniature golf course near downtown Manassas. Very well-maintained, especially considering the prices are incredibly low! The courses are fun, with just enough of a challenge to make them enjoyable, without becoming too difficult." "Went there on Father's Day. Love that it is right next to an ice cream place! 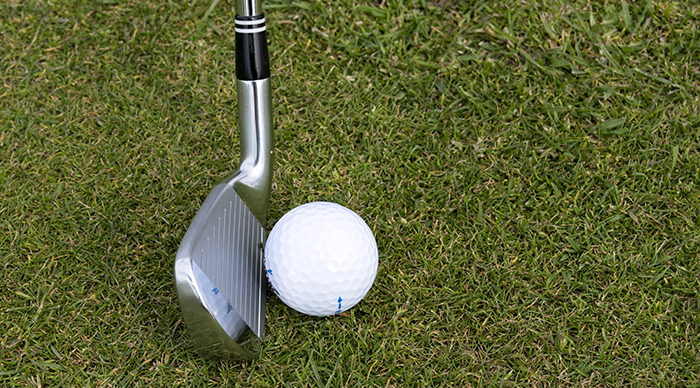 The mini golf has two courses, is inexpensive, and the courses are very well kept. Best in the area for sure. A small lot but lots nicely set up inside. First time there and we were very impressed. Great course for little kids and adults alike! Will go back. Love that they had music playing too on their very nice speaker system. Well done!" "Super fun! The staff is great. Clean, good staff, affordable, and a fun round a mini golf! Would go again!" See Facebook for announcements or call us.